A charming way to keep small treasures, studs or cufflinks safe. 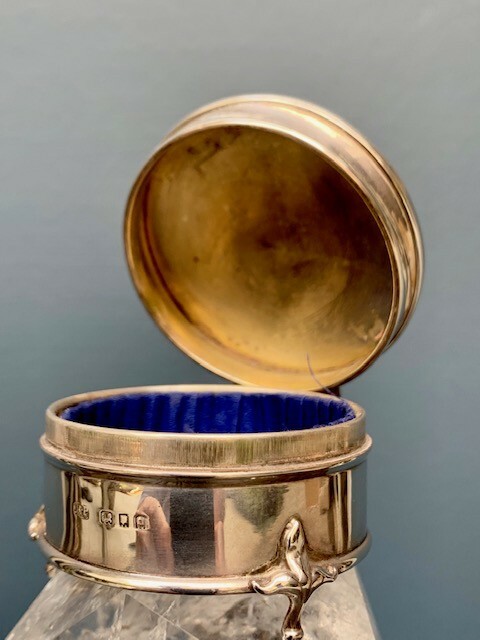 Sterling silver box with hinged lid. Classic engine turned 1920s design detail, blue velvet interior. 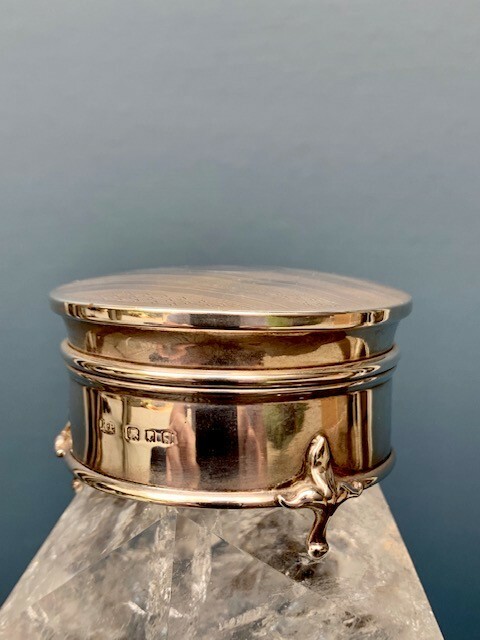 Hallmarked 1929 To purchase, click ADD TO CART Check your cart contents by clicking CART at the top right of the page.